Do you love the snow and wintertime? Perhaps you prefer the spring and rain or warm summers at the beach. We have several season and weather car stickers and decals available. The earth’s weather is a beautiful thing. From storms to sunshine, there is much to be admired by the weather and seasonal changes. Some of the best aspects of weather include snowflakes, raindrops and rainbows as they all can be astonishingly beautiful. 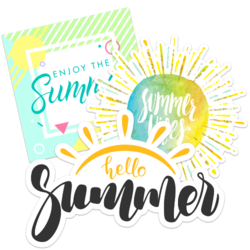 If you love the seasonal weather, we have the perfect stickers and car decals for you. Our seasons and weather stickers feature the best and most beautiful aspects of weather. Snowfall and snowflakes are some of the most popular and beautiful reasons to admire the weather. It doesn’t have to be winter time to enjoy the intricate beauty of a snowflake. 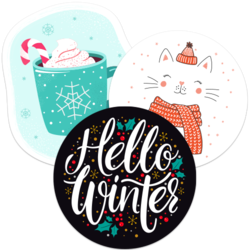 If you are a fan of the snow or simply admire snowflakes, we have several snowflake designs and winter stickers and decals. 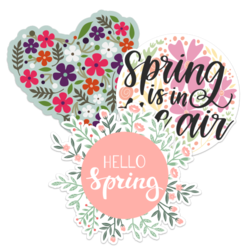 For those of you who prefer the warmer spring and summer months and long for rainfall, we have multiple spring time stickers as well. 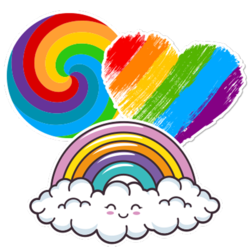 Raindrops, lightning bolts and the gorgeous rainbows that follow a storm can all be displayed with our high quality vinyl weather stickers and decals. 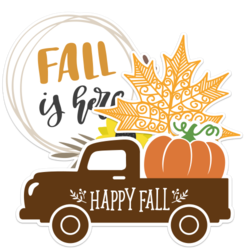 Whichever season you enjoy the most, you can treasure your thought of it with our car decals and stickers. Since I'm in Canada, shipping prices always are terrible, but completely happy with the product. Bought stickers for our grandsons soap box derby race car..... They look awesome and were easy to apply! We will definitely order again! 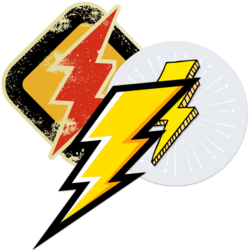 The product quality is excellent I have used them on 4 of my cars and never had a bad experience. They do not fade or peel and they stand by the product. I did have an experience where I ordered in July and did not receive the items in a timely fashion and they placed a new order at no cost. The ironic part is they delivered this Feb. but were post marked July 15,LOL. One of my coworkers (who is also a professional printer) commented that the quality of these stickers are amazing! Thanks!